It’s time to bring that tie-dyed t-shirt out of the closet and grab some rainbow-colored suspenders, because this season’s vegetables are all about color. This spring is a perfect opportunity to experiment with sight as well as taste, with some of the best seasonal fruits and vegetables inspiring a vibrant palette of rich color and texture for the taste-conscious vegetarian; and some of today’s tasty wines are lending a hand in creating a multi-sensory experience that’s to dye for. The primary color on our palette would be green, of course. Some of the best seasonal veggies are hued a bright, delectable green that will pop out with a little creative blanching. English peas and spinach have ventured into spring, and can be used for a variety of purposes. Herbs are also making a huge presence this season. Experiment with unique flavors, like orange-mint and pineapple-sage, to easily turn a normal Tuesday night fare into something extraordinary. Of course, don’t forget to pair herb-heavy dishes with a light, herbal white. A tasty New Zealand Sauvignon Blanc would do just the trick. 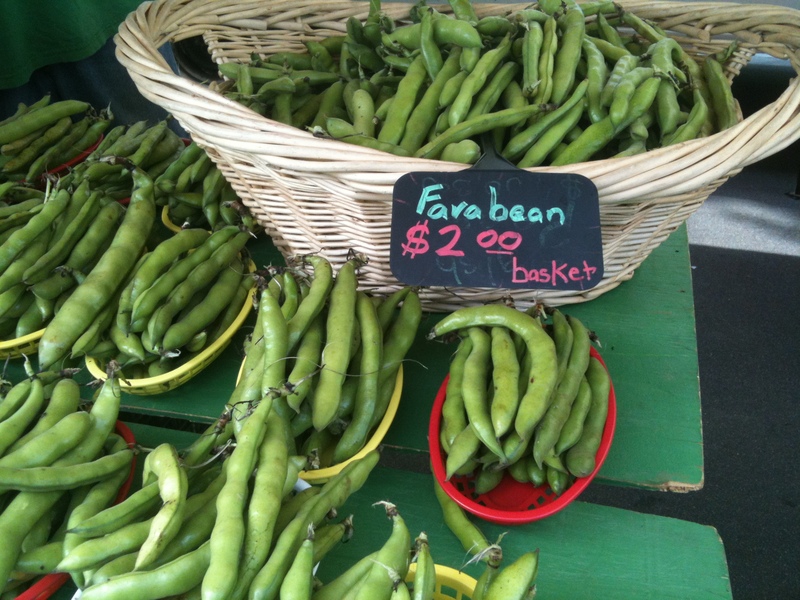 One of the most important seasonal green veggies would be the fava bean. 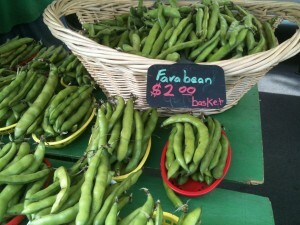 Only in season for one to two months, the fava is tasty and versatile. After boiling them with salt and onions to soften them up, they can be sautéed with minced garlic, herb-baked tofu, and a bit of olive oil to make a healthy meal that’s rich in protein. If you need a midday snack, they can be mashed up in a food processor to make a delicious vegetarian hummus like dip. Great with pita bread. The best wine to pair with a fava bean meal? A nice tasty Italian white, like a Falanghina or a Verdicchio. Something in between an acidic Pinot Grigio and a fuller Chardonnay, medium-bodied Italian whites will work well with the “meaty” texture of the beans, while still being light enough to work with the overall lightness of the dish. Another big color on the palette is red. Although heirloom tomatoes are sadly out of season and won’t be arriving until late summer, hothouse tomatoes are currently ripe and can be sliced thin and layered with eggplant and a spicy arrabiatta sauce. For this meal I would definitely recommend a full-bodied California red blend, ideally with at least 50 percent Cabernet. Blood oranges are also a hot ticket this season. Although they’re not technically veggies, they can be used to add a little color and citrus flavor to any creamy pasta dish. Be sure to thinly slice a couple pieces and sautée them separately, to use as garnishes! I would honestly recommend a sparkling rose with this dish; it’ll bring out the acidity in the blood oranges while still working with the integrity of a cream based sauce. Other spring veggies are taking the tie-dyed spirit to heart, exploding in a wide array of rainbow-esque colors that are as pretty as they are delicious. Multicolored leaks and green onions have made a splash, and can be used in a delicious quiche. You can even dye the piecrust to match! It’s best to pair a leak quiche with a creamy Chardonnay or a light-bodied Oregon Pinot Noir. 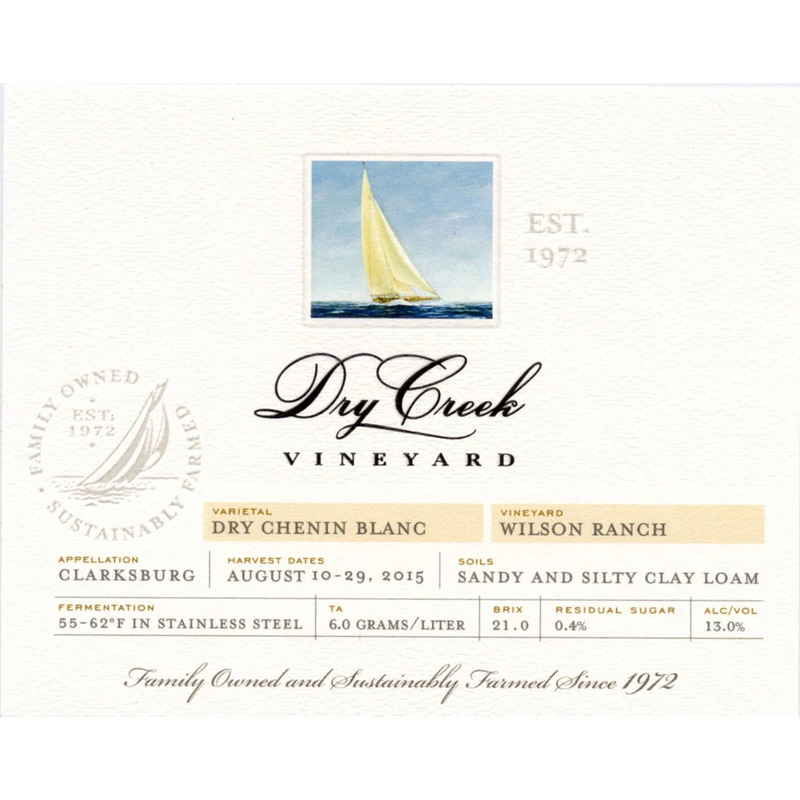 Just make sure the wine isn’t too fruity, because leaks have a uniquely subtle and tart flavor that needs to be drawn out by wines that are more earthy and natural. 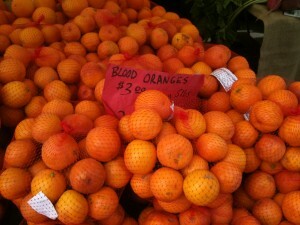 Fruit would mask the flavor of the leaks and alter the integrity of the dish. 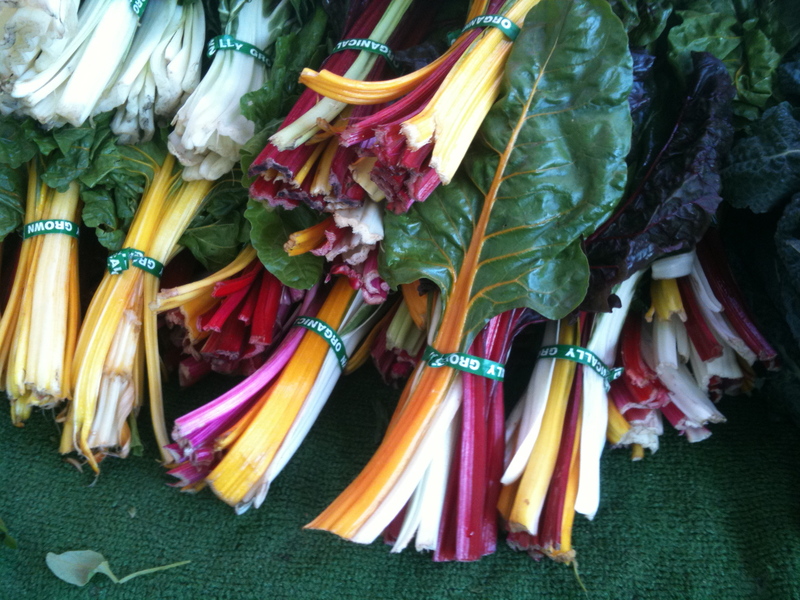 There is also rainbow-colored swiss chard, which is admittedly not the easiest thing to cook or enjoy, as it can be a little earthy and bitter at times. A really tasty recipe involves sautéing swiss chard with garbanzo beans, onions, and fresh red tomatoes. Serve some mango chutney on top to add a little tangy sweetness to the dish. 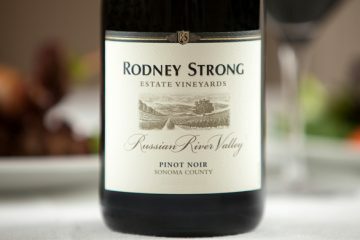 Pair this easily with an earthy Merlot or a sweeter Riesling, depending on which flavors you want to emphasize. 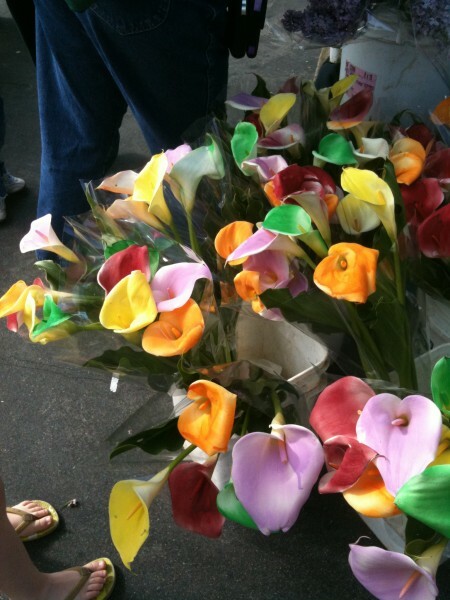 The next time you’re preparing dinner, grab your reusable grocery bags and head to the farmers market for some colorful spring veggies to add to your table. With the right wine pairing you’ll have a meal that’s delicious, unique, and easy on the eyes. Just don’t forget your tie-dye! 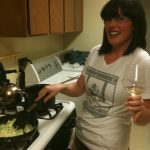 Beth Elderkin is the 24-year-old wine blogger behind wino rhino. She lives in Monterey and works as a bartender/tasting room host/wine-loving happy girl. She’ll be attending San Diego State University this Fall to work towards her degree in Journalism. i’m excited to give some of your ideas a try! Thanks for the article.. I have just recently found the vegan lifestyle and I love it. It seems like I just can’t take in enough information.